Geordie Shore‘s Marnie Simpson has opened up about her feud with former co-star Vicky Pattison, admitting she was “glad to see the back of her”. The two reality stars didn’t exactly hit it off when they lived together in the Geordie Shore house and now Marnie has revealed she was relieved when Vicky left the MTV series in 2014 to appear on I’m A Celebrity…Get Me Out Of Here! 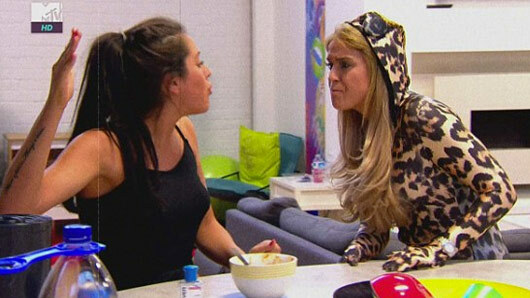 In her new book, Stripped Bare, Marnie has shared details about her difficult relationship with Vicky on the show. She said: “It would be the understatement of the century to say that Vicky Pattison and I did not get on. Marnie also reckons the rest of her co-stars weren’t all that fussed by Vicky’s exit. In fact, it sounds as though all those tears were put on for the camera. “So by the time she announced she’d had enough and wasn’t coming back, I was glad to see the back of her,” she explained. The Celebrity Big Brother star recently opened up about her relationship with ex-boyfriend Lewis Bloor, confessing he would “often go missing for days at a time” during the time they were together. Speaking to OK! magazine, Marnie revealed: “From day one I had a gut feeling I couldn’t trust him.